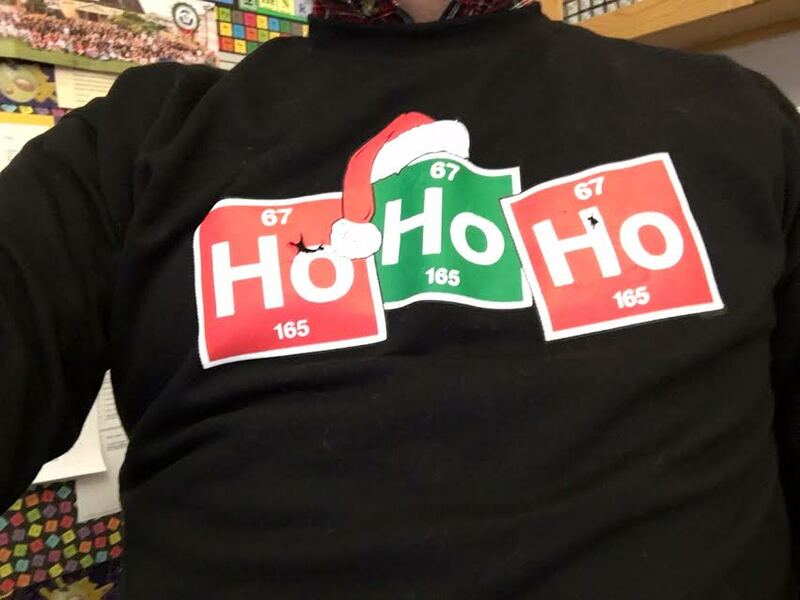 When there is a theme, I run with it, so the Periodic Table of Elements for Christmas was a cinch and fun too. 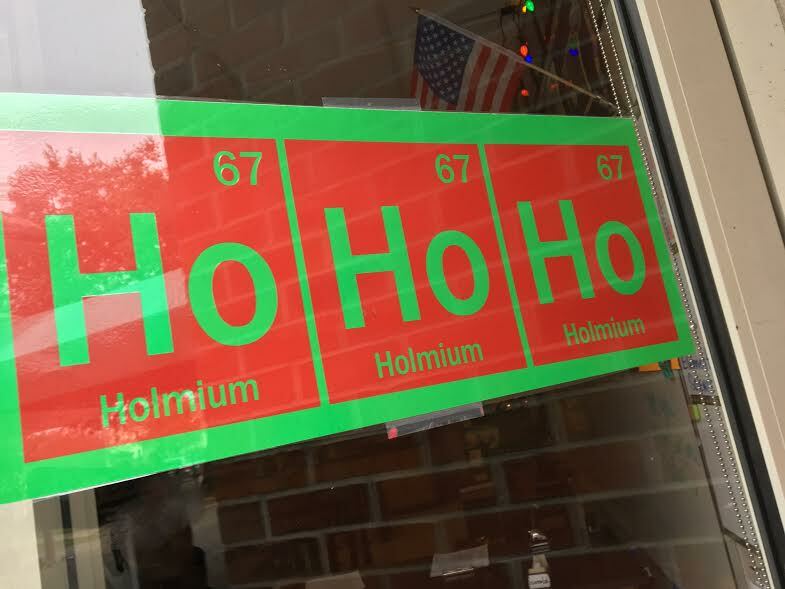 Ho Ho Ho, the element Holmium makes the perfect sentiment for the holiday season. Did you know that the element Holmium is used in MRI machines? MRI machines use holmium pole pieces to concentrate their magnetic field. Holmium has an atomic number of 67. 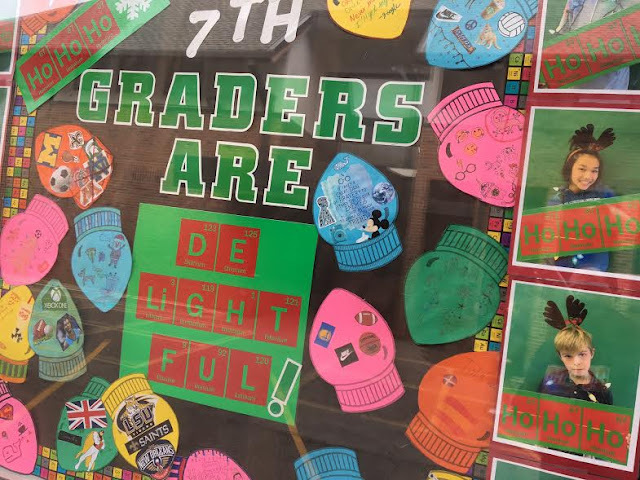 On the windows, our 7th graders are DE-LIGHT-FUL expresses some Christmas cheer. Delightful is spelled using Periodic Table notation. 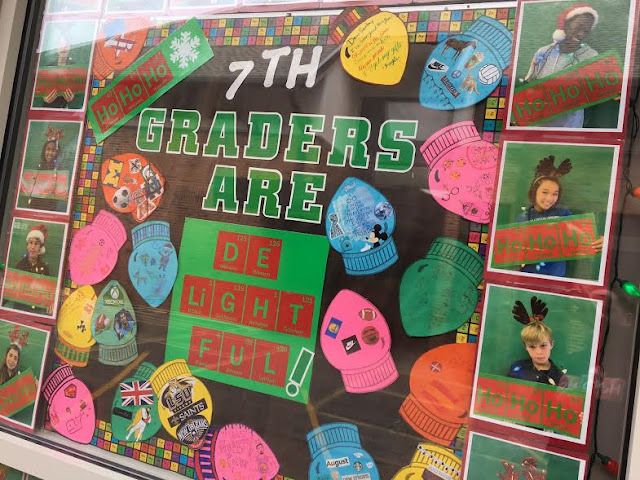 Students don antlers and Santa hats holding the HoHoHo signage. I also loved wearing my two shirts (sweatshirts) this season. 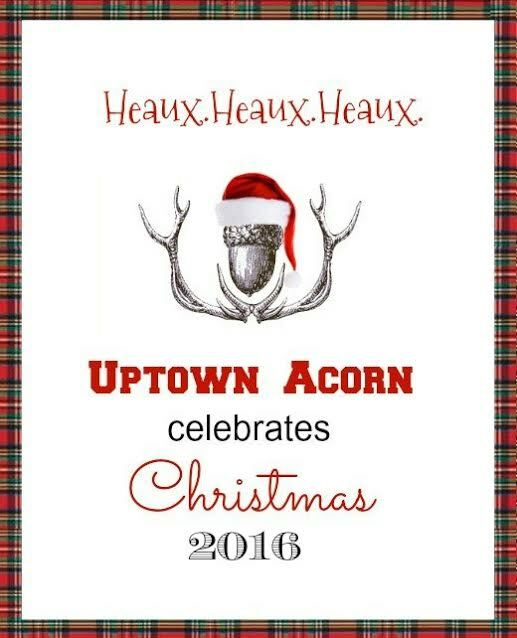 I hope you and yours have a DELIGHTFUL Christmas too. Love it Ron, and I know your students do as well. Thanks. They love to see what shirts I'll wear next. 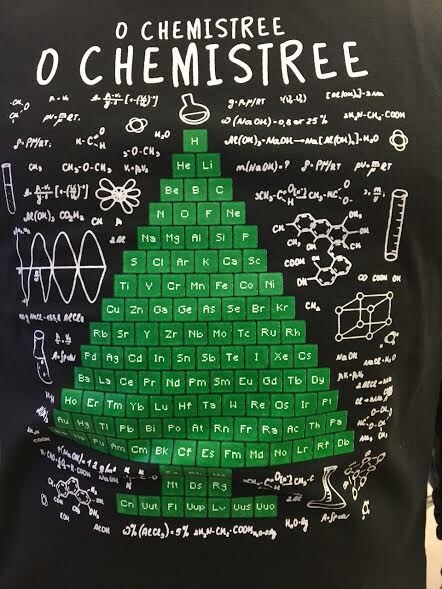 Aren't you a fun chem teacher! Making science fun...Bon! Tres bon! 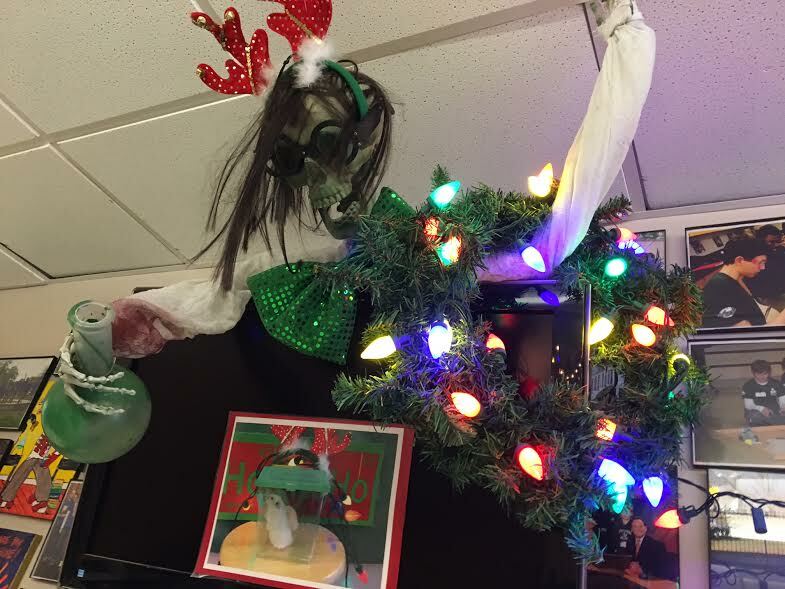 Joyeux Noel mon ami. I try. I was soooooo ready for a break. It is HERE. You are such a creative and engaging teacher, Ron. Joyeux Noel!